PLEASE NOTE: This App is officially supported on the following devices: iPad Air/Air2, iPad Mini 2/3/4, iPad Pro, iPhone 4S and newer. Automatic real-time key detection of your loops and wavefiles, allows to play them either as masters, thus determining the tonality of the whole session, or as slaves, thus adapting them to this computed tonality. Up to 9 simultaneous voices using loops, samplers, synthesizers and line input, plus any combination of effects and controllers. Create patches on the fly combining up to 24 simultaneous modules. Modulate any parameter. Control everything using multi-touch gestures plus the optional ROTOR controllers (can be purchased separately). 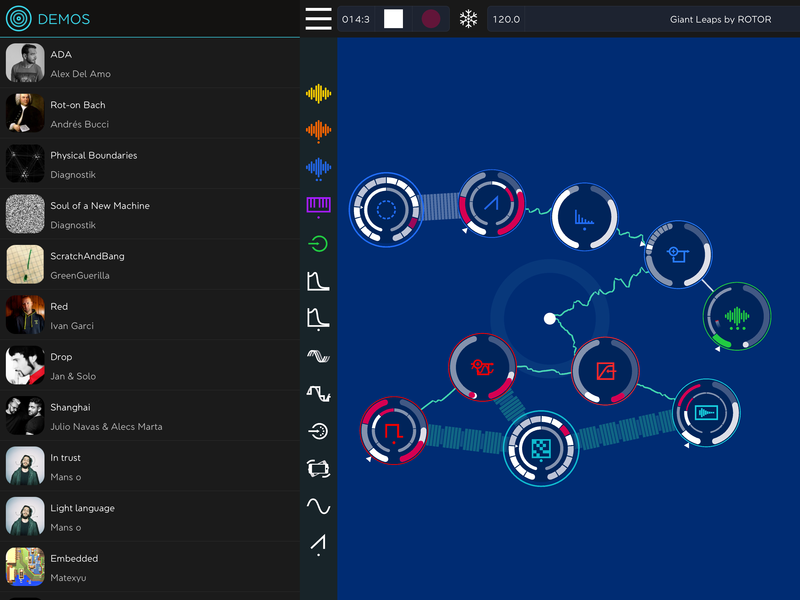 App-to-App audio routing using Audiobus. Import/export audio samples with other apps using the pasteboard. 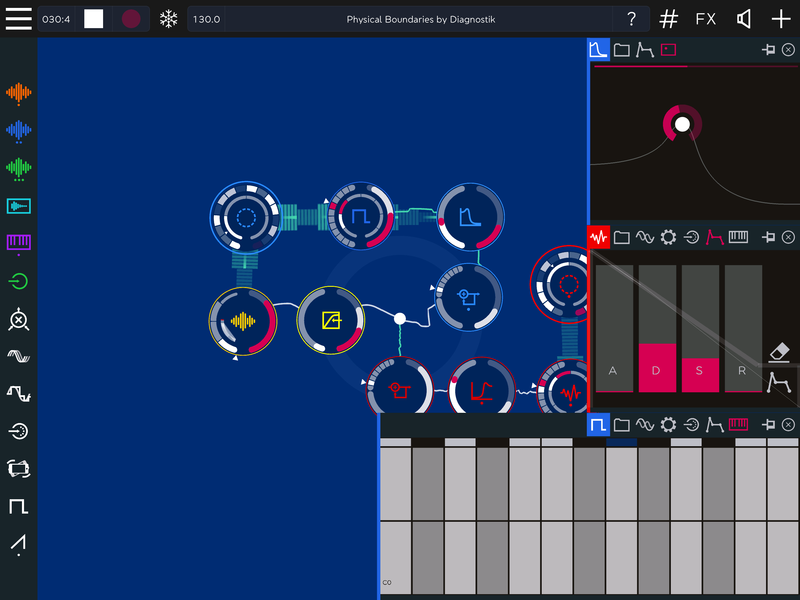 Ableton Link integration allows to play in perfect sync with Ableton Live running in your laptop, as well as with other Ableton Link compatible iOS apps running in other devices. Combine multiple ROTOR instances running on separate iPads. Change the tempo of your session without affecting its pitch. Additional Swing and Tap tempo control. 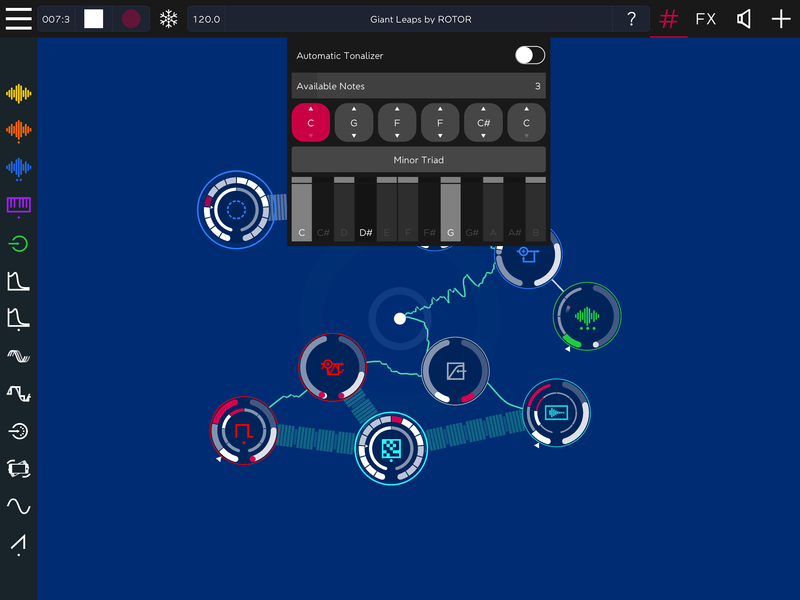 The automatic real-time key detection of loops and sound files can also be applied to ROTOR’s synths, samplers, sequencers and virtual keyboards, insuring that no note will ever be out of key. Configure manually up to 6 additional tonalities or chords, that will also affect the tonal content of keyboards and sequencers. Record and save loops on-the-fly and integrate them into your performance, without interrupting the music and creative flow. Save them for exporting them to other applications. MIDI IN settings allows any object to receive external control from a different user-selectable MIDI port/channels. Use the iPad accelerometer for controlling any module parameter. Use ROTOR 100+ exclusive loops or import your own, in WAV or OGG format. Use ROTOR 100+ sampler presets or import your own in SF2 format. Contextual help and 100+ pages interactive manual with 30+ demos and tutorials. Loop players with different available operating modes, including automatic key detection, pitch-shifting and time-stretching capabilities. Multi-oscillator synthesizers with configurable waveforms. Sampler players with 100+ presets included. SF2 compatibility also allows you to load your own soundfont banks. Mic/Line/Audiobus input object for processing the sound coming into your iPad or from other Apps. 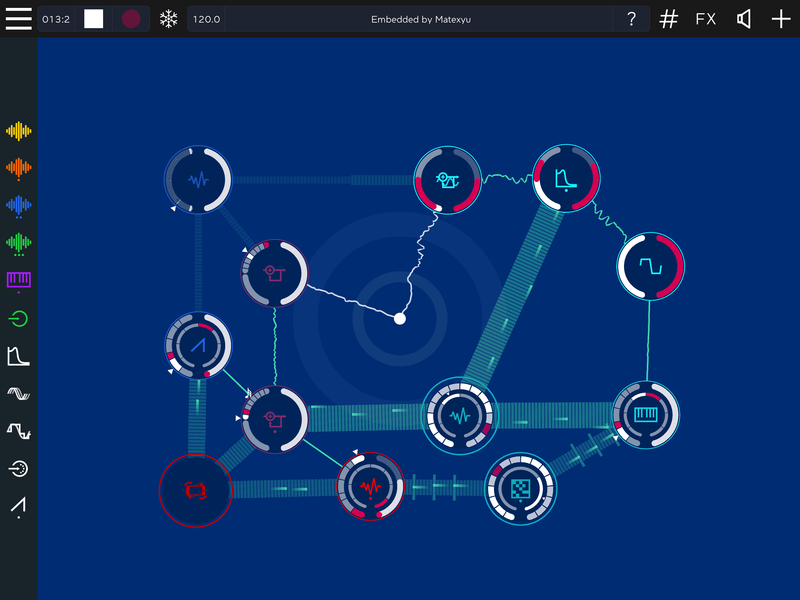 ROTOR’s exclusive dynamic patching capabilities allows you to connect almost anything to anything else, and to modulate any parameter with any control, by means of fast gestures.